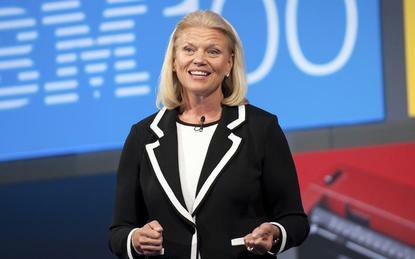 "IBM will become the world's number one hybrid cloud provider, offering companies the only open cloud solution that will unlock the full value of the cloud for their businesses," IBM CEO Ginni Rometty said at the time of the acquisition, making a clear statement regarding IBM's hybrid-led strategy. Furthermore, she told CNBC that hybrid cloud is a "trillion dollar market and we'll be number one". During the company's flagship Think event in San Francisco, the vendor firmed up these plans with a raft of announcements aimed at practically helping customers move to a hybrid cloud model, from a new integration platform to an army of consultants focused on helping customers go hybrid. Hybrid cloud is an enterprise IT strategy that involves operating certain workloads across different infrastructure environments, be it one of the major public cloud providers (Amazon Web Services (AWS), Microsoft Azure or Google Cloud Platform (GCP), a private cloud, or on-premise, typically with a homegrown orchestration layer on top. Multi-cloud is a similar idea but tends to not involve private cloud or on-premise infrastructure. IBM is supporting the bank with its "methodologies and processes to accelerate that transformation journey. Additionally, the bank is using a range of technologies including IBM DevOps solutions and IBM API Connect, aimed to develop, iterate and launch new or upgraded applications and digital services much more rapidly," according to a press release. Banking, with all of its legacy technology, seems the most naturally inclined industry to turn to hybrid cloud. Regulatory and security concerns leave them wanting to keep key data and workloads on-premise, but newfound competition from agile fintechs means they need to move to the sort of faster deployment cycles that can only be achieved in a cloud environment. IBM boasts of BNP Paribas, Westpac, Lloyds Banking Group, Credit Mutuel, Krungsri, Royal Bank of Canada, and Mizuho Bank all turning to them for hybrid cloud solutions. In fact, a recent report from 451 Research found that 60 per cent of EMEA and North American financial services businesses expect to run a multi-cloud architecture within the next two years. The first announcement was actually a whole range of tools and services "to help businesses migrate, integrate and manage applications and workloads seamlessly and with security across any public or private cloud and on-premises IT environment," the vendor said in a press release. More specifically, this includes a new IBM Cloud Integration Platform to help operate cloud services across cloud and on-premise environments under one, secure operating model and toolset. The 'container-based' platform promises easy porting of data and applications across infrastructure and aligns API management, events and enterprise messaging. On the services side, IBM seems to be aligning much of its sales and consulting teams around advising customers on "how to architect the right holistic cloud strategy from design, migration, integration, road mapping and architectural services to navigating their journey to cloud," the vendor said. The second announcement was the opening out of its AI service, IBM Watson, to run on rival public cloud infrastructure, namely: AWS, Azure and GCP. Watson, which started life beating humans at the game show Jeopardy!, is a suite of AI tools that allow all sorts of organisations to develop AI capabilities to apply to their business problems, primarily via Watson Assistant chatbots. "Businesses have largely been limited to experimenting with AI in siloes due to the limitations caused by cloud provider lock-in of their data," said Rob Thomas, general manager for IBM Data and AI. "With most large organisations storing data across hybrid cloud environments, they need the freedom and choice to apply AI to their data wherever it is stored. By breaking open that siloed infrastructure we can help businesses accelerate their transformation through AI." In practice this means "Watson and Watson OpenScale can now be run in any environment – on premises, or on any private, public or hybrid-multi-cloud – enabling businesses to apply AI to data wherever it is hosted," the vendor said. "Businesses will be able to infuse AI into their apps, regardless of where they reside. The flexibility this affords can remove one of the major obstacles to scaling AI, since businesses can now leave data in secure or preferred environments and take Watson to that data." Under the hood this means a new set of Watson micro-services that have been containerised using Kubernetes so that they can be run in IBM Cloud or any other public, hybrid or multi-cloud environment. What does this mean for the cloud market? As AWS has grown its industry hegemony, many of its rivals are looking less to compete, and more to complement Amazon, while also playing on customer's fears of vendor lock-in. IBM has long been a player in the cloud vendor wars, but has languished outside of the 'big three'. With this move IBM is essentially course correcting, setting out its stall to be the hybrid cloud provider: an independent middleman to help customers take advantage of hybrid cloud deployments with less of the overhead typically required. By being as open, and open source, as possible, IBM is showing customers that it will be an independent player in the cloud market. There are of course other options for this, OpenStack for one, and tooling like Cisco CloudCenter or VMware vCloud Suite, but there are few that have the resource and new focus of IBM. The big three all have their own hybrid solutions too, such as Azure Stack and AWS Outposts, but these again come with a certain degree of vendor lock-in. Commenting on the news, Nick McQuire, VP of enterprise research at CCS Insight said: "IBM's AI business took centre stage at Think 2019 and the event's major announcements reflect a much clearer and differentiated strategy emerging from IBM at the moment." He added that Watson Anywhere is "a major stake in the ground in the enterprise AI market and a key emblem of the new religion taking shape in IBM now focused on hybrid, multi-cloud services, Kubernetes containers and its Red Hat acquisition."